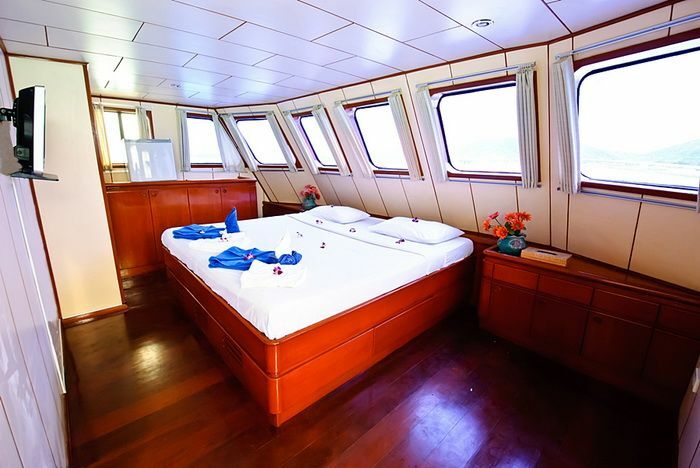 MV Deep Andaman Queen is a large steel hulled vessel with a cruising speed of 10 knots. 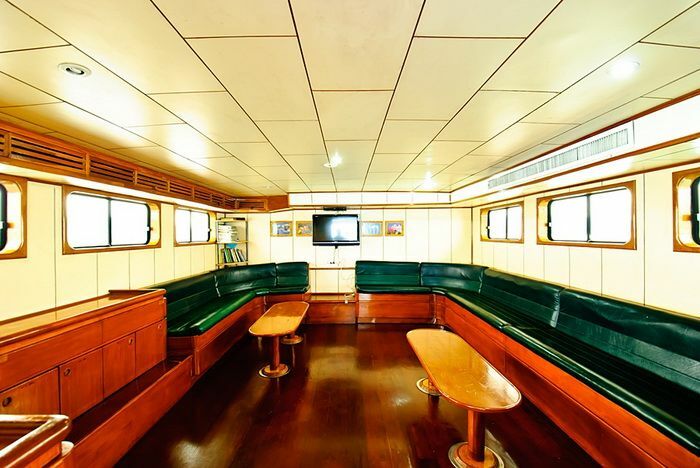 It has a variety of cabin styles for up to 21 guests, the master cabin is exceptional. 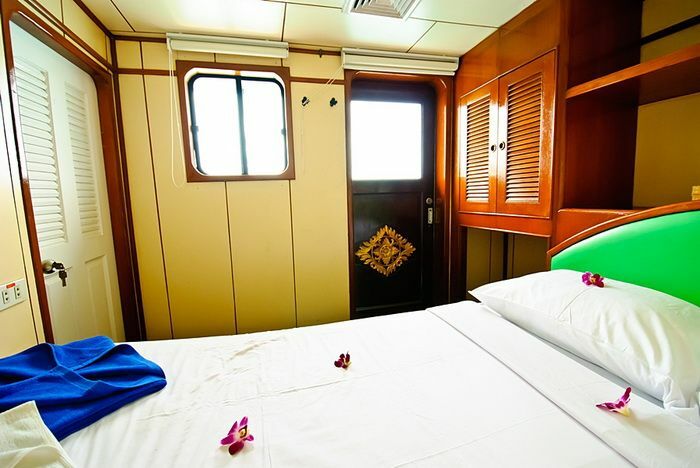 Deep Andaman Queen makes several long trips (7 days 7 nights) each season up to the Mergui archipelago. 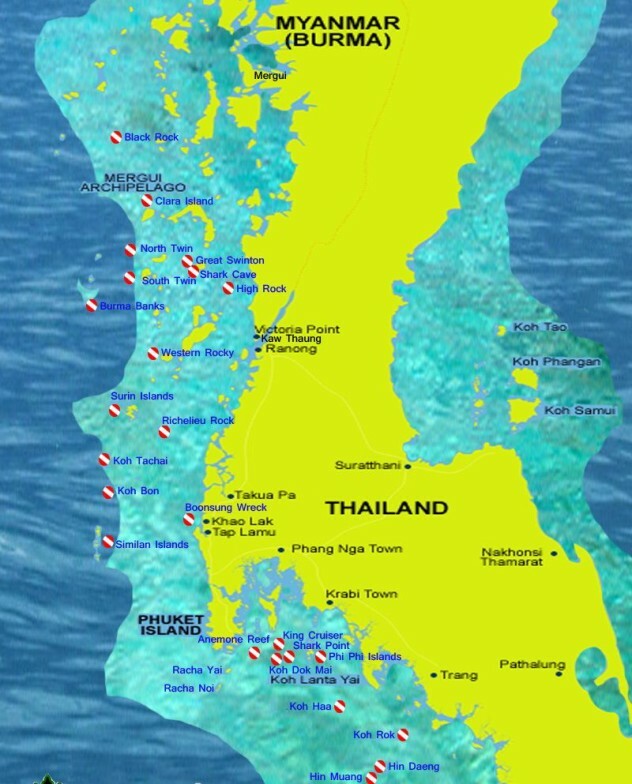 These trips also include the best dive sites in Thailand (Koh Bon, Koh Tachai and Richelieu Rock). 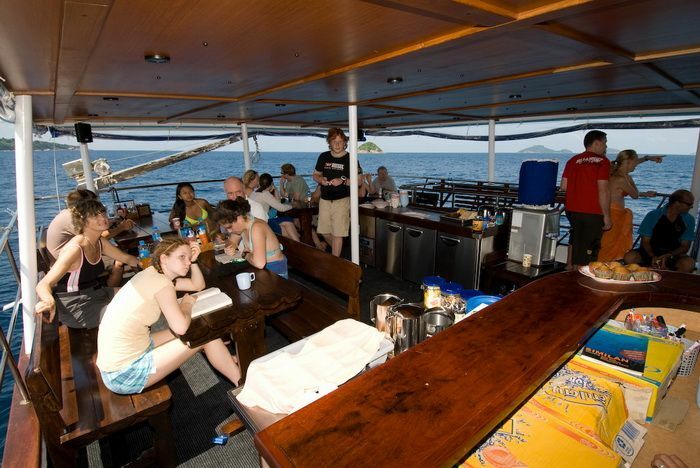 Deep Andaman Queen has a huge dive deck plus large communal areas for relaxing and socializing between dives. It’s a very friendly boat that gets bookings from a mix of nationalities and the staff are multi lingual. 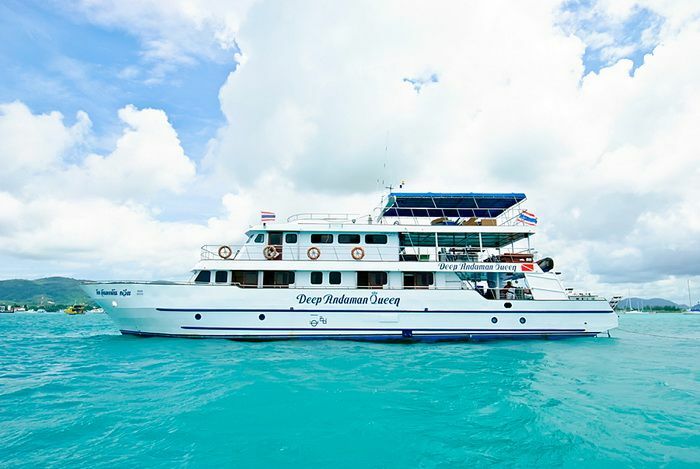 Deep Andaman Queen was build in 2003 and was previously named Queen Scuba. Max 21 guests in 8 cabins. 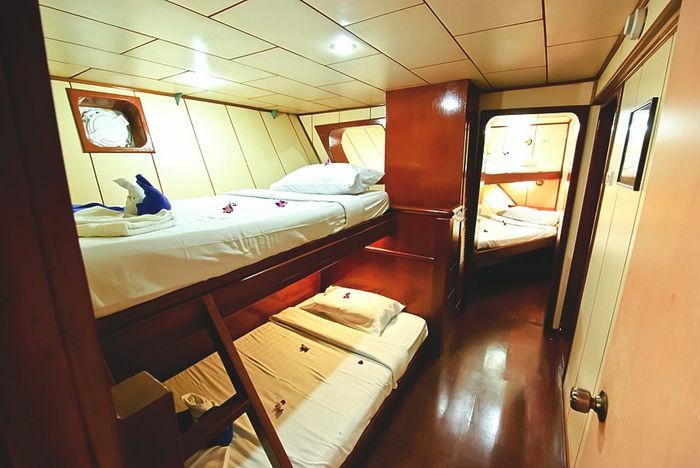 The huge Master cabin has a king size bed and wonderful panoramic views. 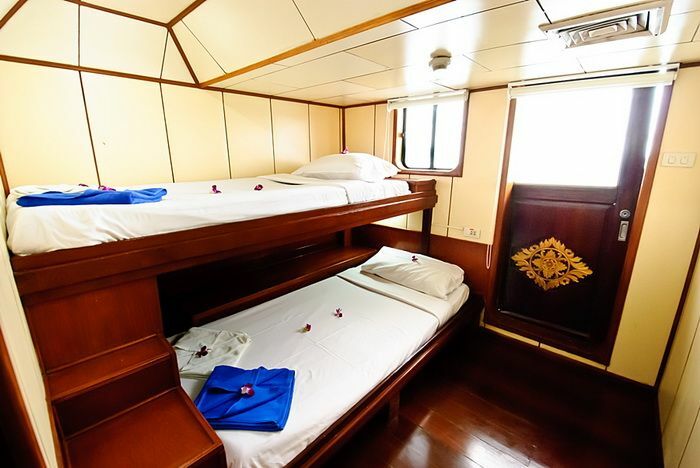 There are 3 Deluxe double bed cabins and 2 Deluxe twin bed cabins on the main deck. They have private bathrooms and large windows. 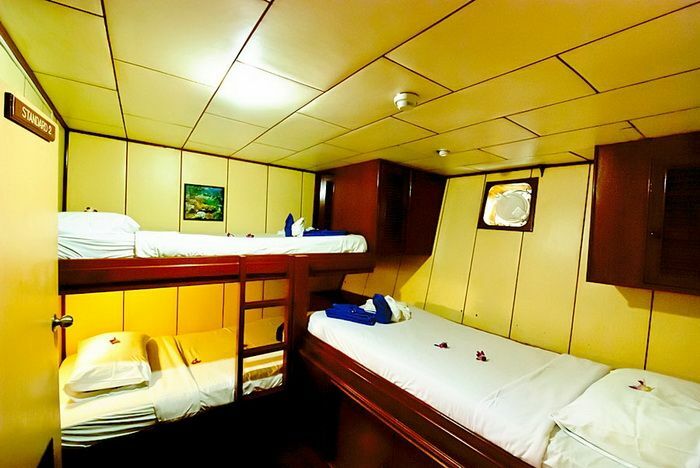 There are 3 standard cabins (twin, triple and quad) on the lower deck, all with private bathrooms and porthole windows. The standard twin cabin is good value as it’s basically the same as the deluxe twin cabin but on the lower deck. 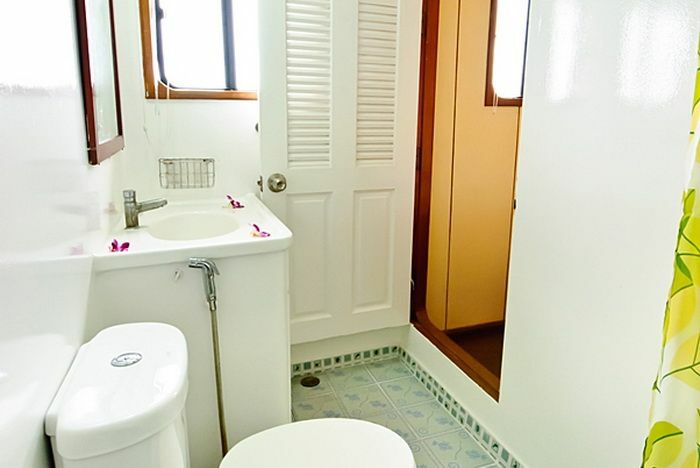 Hot water showers and air-conditioning in all cabins. Lots of space. 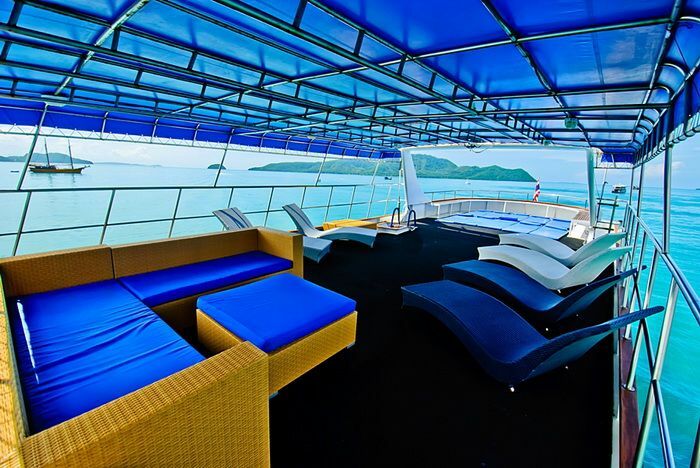 Large sun deck, huge dive deck. NITROX is available on board up to 32%. 2 x 4m RIB tenders. 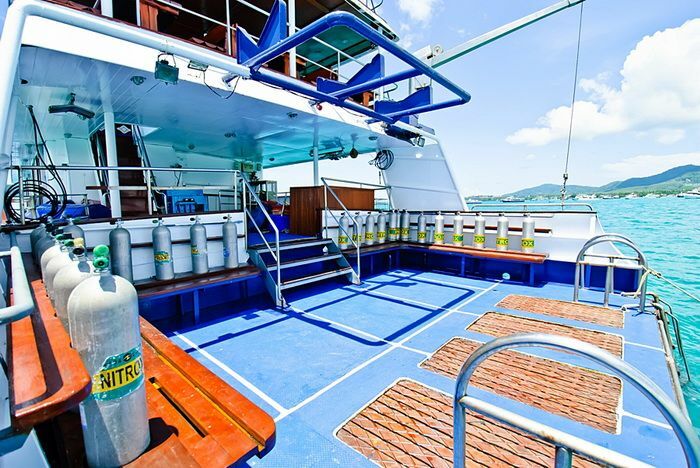 PADI Advanced course and PADI Speciality courses available on board including Nitrox. Pre booking is recommended. Dive guide, 12 litre aluminium tanks, weights and weight belt, all meals, soft drinks, hotel transfers. Mergui entry fees, Similan and Surin national park fees, dive equipment rental, Nitrox, 15 litre tanks, alcohol. For advance bookings pay just 10% deposit now to confirm your place, the balance is due 60 days before departure. Early booking offer. Book and pay in full for a Deep Andaman Queen trip at least 45 days in advance and get 10% discount or free equipment rental set (bcd, reg, wetsuit, mask, fins) or free nitrox (for qualified divers). 1500-1830 hrs: Pick-up at your Phuket or Khao Lak hotel or from Phuket airport and transfer to Deep Andaman Queen at Tap Lamu pier. Cruise to the Similan Islands. 1 dive at Koh Bon, 1 dive at Koh Tachai, 2 dives at Richelieu Rock. Border formalities. 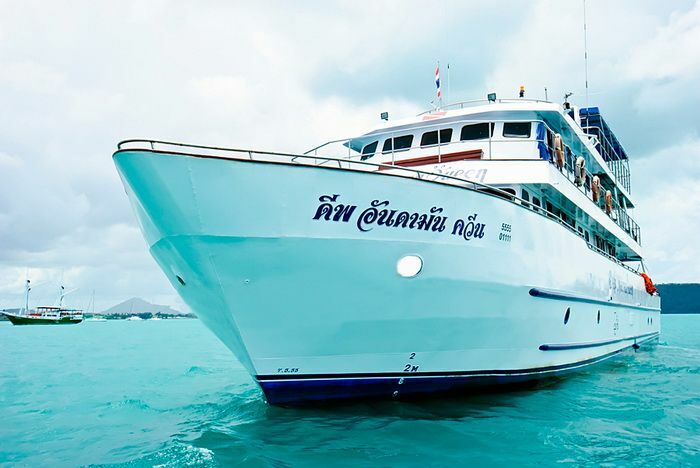 Exit Thailand and enter Kawthaung in Myanmar then cruise in to the Mergui archipelago for 1-2 dives (High Rock, Rocky Island and Shark Cave area). 4 dives at North Twin, Shark Cave and Stewart Island. 4 dives at Fan Forest Pinnacle, North Rock, Western Rocky. 1-2 dives at Western Rocky then back to Kawthaung to exit Myanmar and re enter Thailand. 2 dives at the Boonsung Wreck, Khao Lak. Disembark in Thap lamu at 1500 hrs and transfer back to your hotel.